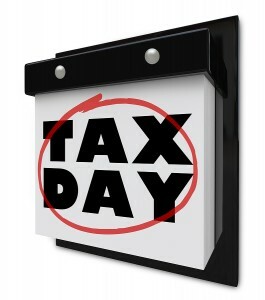 At the same time every year tax season arrives and every year some clients are completely surprised. Count On Us works with a number of Tax Professionals as an overflow mechanism. Last year in late March a client appeared at their CPA’s office with a year’s worth of bank statements, receipts, credit card statements and other financial records all piled into two large moving boxes. The CPA, whose in-house bookkeeping staff was already working past maximum capacity, recognized a large number of hours would be needed just to organize the pile and then a number more to prepare an accurate QuickBooks file. The CPA immediately called Count On Us, knowing we are experts at the unusual and unexpected. The materials were shipped to Count On Us where it was organized and arranged in a proper manner, the data was then entered into QuickBooks. A preliminary report was sent to the CPA for review, changes were made and a final QuickBooks file was sent and the materials returned to the CPA, with sufficient time for the CPA to complete the company and personal returns before April 17th. Count On Us works on long term, short term and one-time projects, as well as day-to-day bookkeeping. Our goal is to get the job done and get it done right. Because of our many years of experience, Count On Us is prepared for almost any situation and meets all agreed upon deadlines.